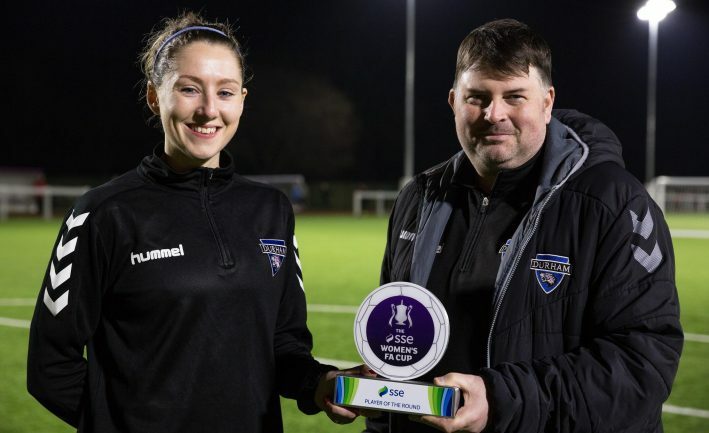 Revenge is firmly on the mind of Durham manager Lee Sanders as his side prepare for a first ever SSE Women’s FA Cup quarter-final against Everton. The Toffees knocked out the Wildcats on penalties in last season’s competition having drawn 2-2 at New Ferens Park. But after beating Leicester City in the fifth-round 5-2 to make history, Sanders is delighted to have an opportunity to get one over Everton in the last eight. He said: “It’s a proud achievement, considering where we have come from. We’re doing quite well in the WSL 2 but an FA Cup run obviously attracts a lot of attention which is great for the profile of the club. I’m really happy and we need to work hard to get into the semi-final. “It’s a massive challenge, they’re a WSL 1 and they’ve got some tremendously gifted players. Victory over Leicester was in no small part down to Abi Cottam who notched up a brace and two assists to secure the player of the fifth round in the SSE Women’s FA Cup. Sanders has been delighted with Cottam during her first season since moving from West Bromwich Albion last summer and heaped praise on her performances. The manager said: “She was fantastic against Leicester. She’s had a great goal scoring record at her previous club and based on the minutes she’s played her goal return has been great. Durham currently sit fourth in the FA Women’s Super League 2, their joint highest position since joined the league in 2014. Sanders is proud of how much his side has achieved and believes an SSE Women’s FA Cup run is the icing on the cake. “Overall, I think we are where people thought we would be in the league,” Sanders claimed. “We’re a little bit disappointed that we haven’t picked up a few more points than we could’ve, we certainly should’ve. “But everything that’s going on at the club is really positive. 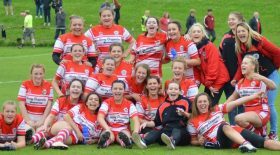 We won WSL 2 club of the year in the 2017 Spring Series and we’ve got excellent staff off the pitch. “To think about where we started and the journey the club and the players have been on is fantastic. Tickets are now on sale for the SSE Women’s FA Cup Final on Saturday 5th May at Wembley Stadium connected by EE. For more information about tickets and SSE’s involvement in women’s football visit www.sponsorship.sse.com.